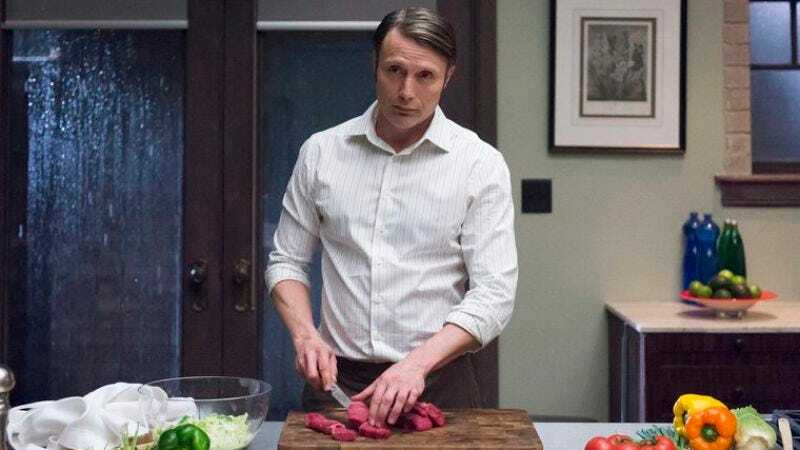 Hannibal mastermind and pescatarian Bryan Fuller—a guy who knows a thing or two about the visceral thrills and disgusts offered by the wonderful world of meat—has contributed his talents to a new campaign supporting People For The Ethical Treatment Of Animals. Teaming up with his old star Gillian Anderson, Fuller has put together a new, Hannibal-themed ad for PETA, apparently to remind people of the relatively minor differences between eating steak and engaging in lavishly photographed cannibalism. Anyway: New Hannibal! Sure, it’s only, like, two seconds of new footage, in service of a nebulous political message, but… New Hannibal! Hooray!